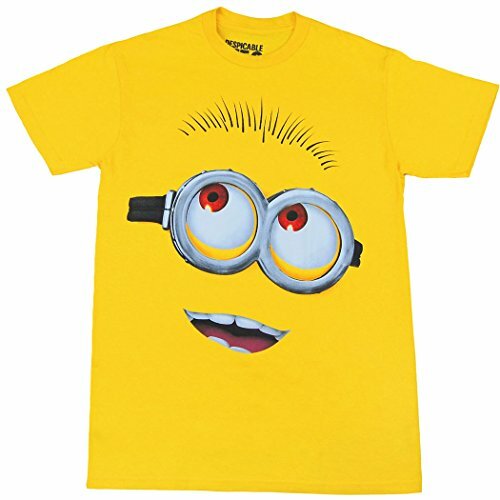 This Despicable Me Minions T-shirt features the image of a Minion's face on a yellow tee. Whaaaa! yes, it's time to save the world. Every super-villain or reformed villain needs a helpful sidekick. 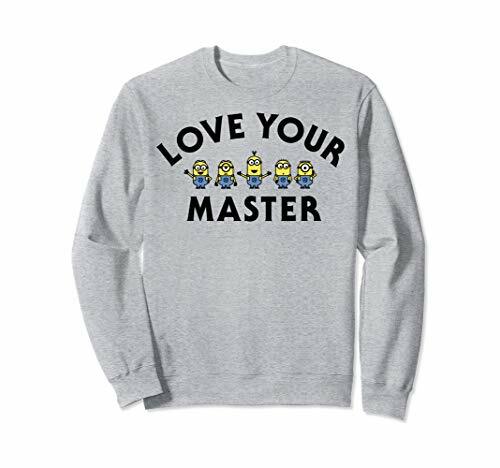 So don this shirt with the trusted minion as you set out to save the world from the next super-villain. 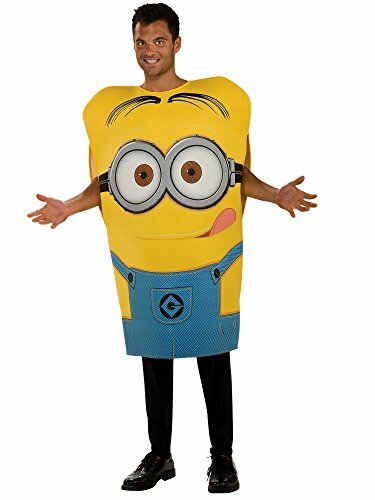 Gru and the gang need your help. Don't delay get yours today! 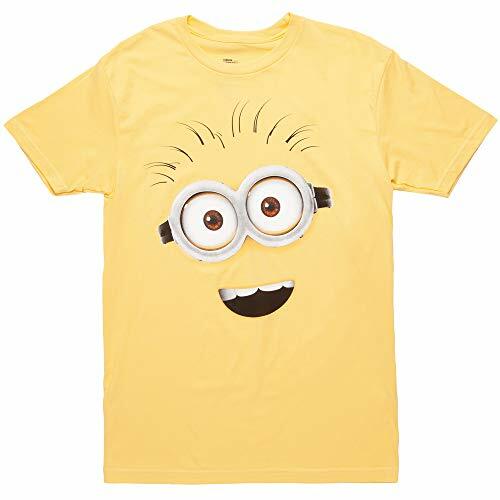 this yellow, standard fit adult t-shirt style shirt is made of 100% cotton. 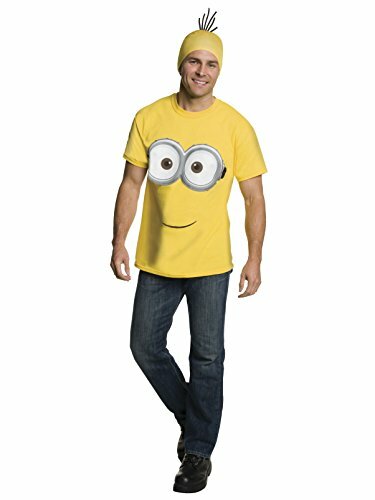 Be sure to check out our size chart to get an idea of the average size and dimensions of this despicable me minion face adult t-shirt style. 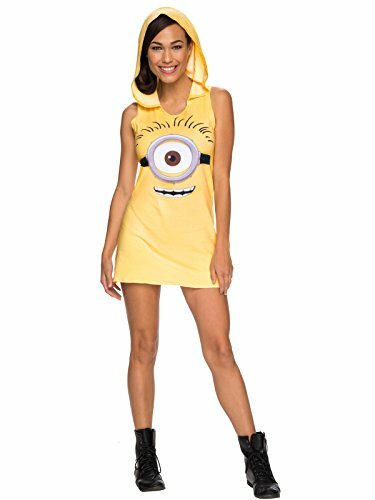 Despicable Me is an animated cartoon from Universal Studios. 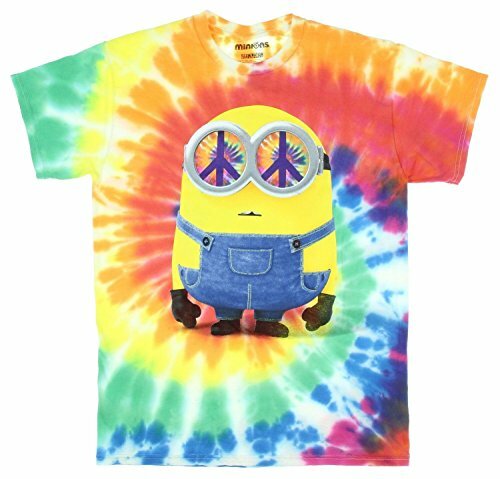 There are some "small," but important characters in this series that are known as Minions. These characters' strange language and antics make them a true fan favorite! Now they have their own movie. 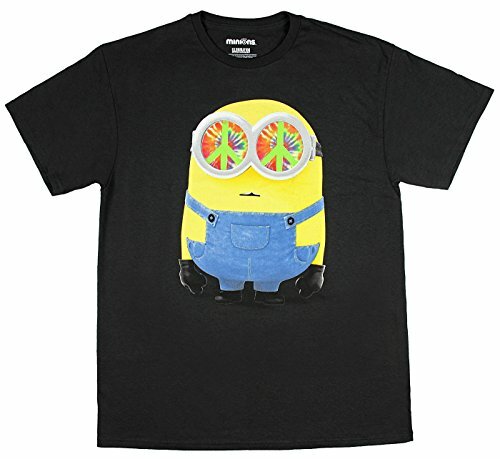 This officially licensed Minions men�s t-shirt features a large bob graphic with peace out eyes. Made of 100% cotton. 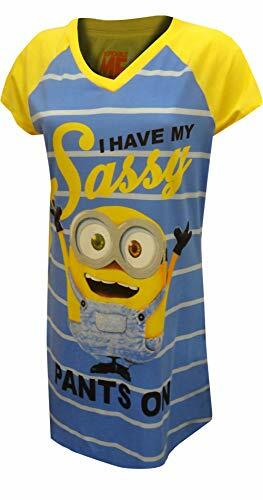 Gru may not want to answer your knock at the door...but he can't resist if you show up wearing this Despicable Me Minions T-Shirt! 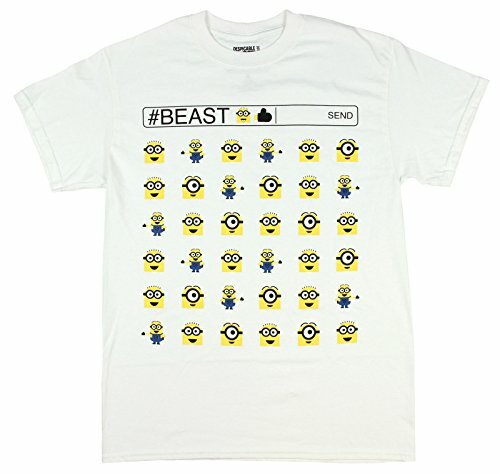 Minions Assemble! Bello.